So many disasters! Tornados, fires, earthquakes, superstorms and hurricanes ... What a mess! You must get your business up and running again very quickly. What do you need to do for your business to be prepared and to quickly recover from a disaster? A) Work with your Trusted Choice agent to ensure that you have adequate coverages. You must protect your property and your staff and your livelihood. You need to become familiar with available coverages to protect your from liability claims, loss of business income, and emerging risks such as cyber liablity. B) Think through disaster scenarios to be certain you have a Plan of Action depending on the impact. Consider outside resources, remote access, system backups, and protection or assistance for your staff. C) When a disaster strikes, know how to survive the claims process! 1 - Contact your agent or insurer as soon as feasible after the property damage occurs. 2 - Make temporary repairs, but don't throw anything away, because an adjuster will need to see it. Also, secure your property and prevent further damage from ocurring. 3 - Compile business financial records to document your loss. You will need to provide the value for damaged equipment and lost income. 4 - Keep great records on all of your repair expenses for reimbursement. Most policies allow you to incur reasonable costs and will reimburse you for those. 5- Take pictures of the damage and any damaged items. Be sure that you confer with your adjuster before disposing of anything, so you do not jeopardize your ability to recover on the loss. 6 - Keep your records organized and stay in contact with your adjuster at least weekly until the claim is fairly settled. If you have problems with anything along the way in your settlement, your Trusted Choice agent will advocate for you. 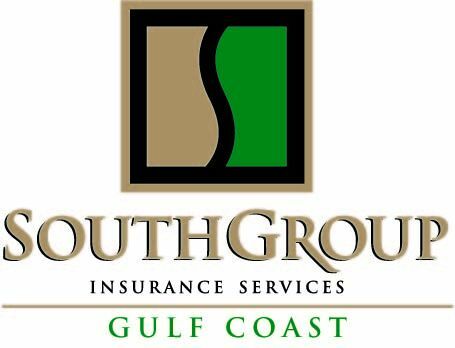 To help you through the maze of coverages, carriers, premiums, and find ways to save money on your insurance, if you are on the Gulf Coast, contact your Trusted Choice agent, SouthGroup-Gulf Coast http://www.southgroupgulfcoast.com/ , SERVICE TEAM: Angelyn Treutel, Tammy Garfield, Tammy Hogue, Wendy Johnson, Denise Russell, Melissa Moran, Alex Treutel, Susan Monti, Kayleigh Davis, Matthew Langlinais, Anne Gillam, Ashlie Moody, and Whitney Zimmerman at SouthGroup Gulf Coast. You can reach us by snail-mail: 412 Hwy 90, Suite 6, Bay St Louis MS 39520, email: atreutel@southgroup.net , phone:228-466-4498, fax:888-415-8922, FaceBook www.facebook.com/southgroup.gulfcoast , or Twitter www.twitter.com/atreutel ! We now have 3 locations to serve you - 2505 Pass Road - Biloxi, 5400 Indian Hill-Diamondhead, and 412 Hwy 90 Ste 6-Bay Saint Louis, MS.
We serve Mississippi, Louisiana, Alabama, and many other states. We specialize in coastal exposures.